Ha! Lilly I have to laugh at this. You just described where I'm at with my current WIP. The first four chapters were a breeze. I had fun writing them, playing with the characters. Every chapter after that feels like I'm opening a vein onto the page. It's like pulling teeth to get this book out. Finally I gave myself permission during the holidays to simply not look at the stupid thing. I still haven't gone back yet. I have to write the ending, the last three or four chapters now. And every one scares me to death. It's kind of a relief to read your blog and see that I'm not alone. I also hear you. I've gotten stuck at times and frozen with fear, have to beg, bribe, threaten, pep talk, you name it to make myself go forward. In my Native American historical romance novel, Through the Fire, I dreaded writing the fort assault scene, a major scenario in the novel. I stalled, whined, put it off, until finally, I had the warrior hero, Shoka, lead the ill at ease heroine, Rebecca, to the edge of the overlook and point down at the fort rising from the clearing below. "There," he said. "Look." It forced me to begin. After that, I was good to go. It's not unusual for me to do something like that when I'm stuck. 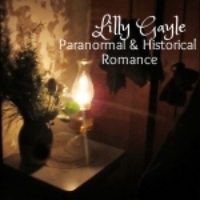 Great topic, Lilly, and to one authors can relate. My story is a little different but similar painful writing these days; 1st and 2nd books flowed like molasses with almost no rewrites. Then when they got published, I got the writer's 'how to write' disease; it took me 3 years to get the 3rd book published. The fourth was a bit easier but I still need to block the judge inside of me who now seems to know 'the way to write' and write from joy. Sometimes it works, sometimes it fails and I stare at the page, cringing at my writing! So glad to know I'm not alone! I never thought of myself as a fearful person before but this writing business is scary. Thanks for sharing, ladies! Lilly, we all have fears and roadblocks in our writing. As Dawn said, most of us struggle through. I love finishing a novel. By then I'm eager to move on to the next one churning in my head. Thanks Dawn and Caroline. Time to work on that WIP now and try to pretend I fear nothing. lol! You're not alone, Lilly! The closer I get to the ending of a book, the more I procrastinate. And even when I do finally complete a manuscript, when I get to the very end where I have to do the final proof, I drag my feet again.I guess that's why I've had no new releases since 2009. I'm slogging my way through a final proof of my latest novel, and then, I swear, it's off to the editor so I can get back to new stuff.And I've already decided to devote 2011 to short stories and novellas. Can't stand the pain of writing another novel right now. Boy! You hit the nail on the head with this post. I can so relate to what you said. Sometimes, I think writers all share some sort of genetic coding that makes us the way we are. lol! 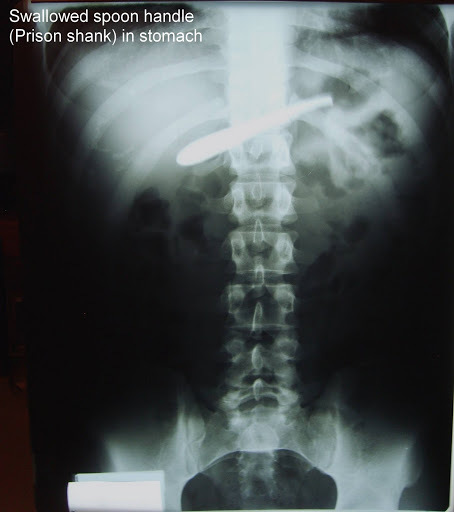 As they say–I feel your pain. I'd say LOL but it hurts too much!All we can do is keep on writing, even if it's just one freakin' word, tear open another vein, then write the next.BTW, I'm waiting for your next chapter! Thanks for the quote, Amy. And again, congrats on your recent good news! Oh, yes, lots of fear here. I've finally just adopted a rule that I must turn my editing brain off, stop worrying about whether the book is any good, and just finish the damn thing–otherwise, I'll talk myself into giving up every time! Linda, Let me know how that works out for you. lol! I get so bogged down in editing mode I sometimes find myself critiquing movie dialogue! Great blog, Lilly. Knowing such talented writers have doubts and difficulty finding the right words to convey their thoughts makes it easier for those of us who have trouble writing thank you notes, condolences or just thinking of you letters. I often agonize over what for others seems so easy. Thanks. So looking forward to your new release "Slightly Tarnished". I am a reader, not a writer, but I hate to see in a romance story where the story line just sits out there with no rhytum or reason and doesn't keep me interested from the very first chapter. I do not mine the sexual content if it is pertinate to enhance the storyline. I also enjoy when the author tells about the settings in such a way that I feel I am there beside the characters in the story. 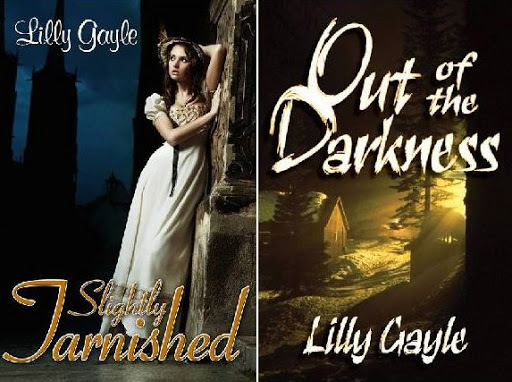 Lily does all that and more in OUT OF THE DARKNESS, and I am so excited for Lilly and her new Novel, SLIGHTLY TARNISHED. I am on pins and needles waiting for the release. Kudos to Lilly! Thanks Anonymous and Becky. Slightly Tarnished is set for release on 6/3/11! I hope you are as excited as I am. lol!